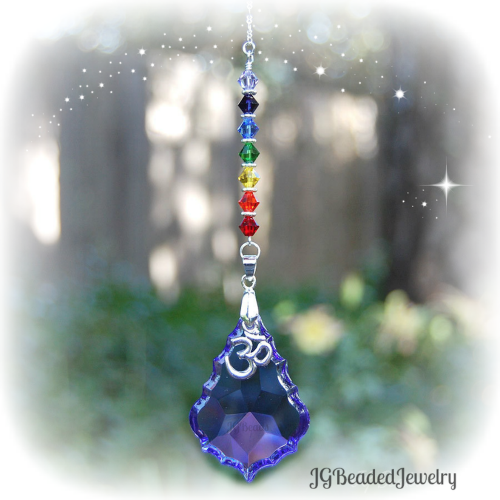 This purple teardrop crystal suncatcher is perfect for the purple lover! 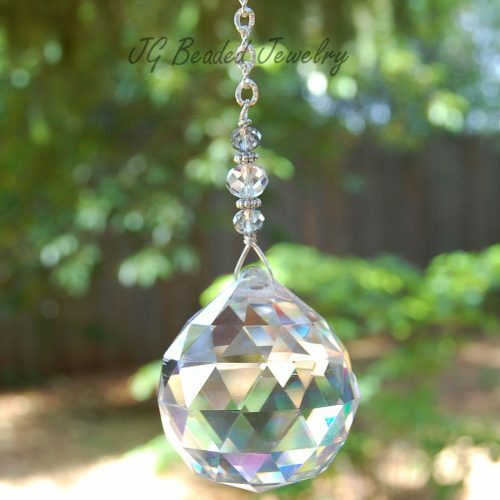 It can be hung from the rearview mirror, in a window or simply attached to an existing ceiling light or fan pull. 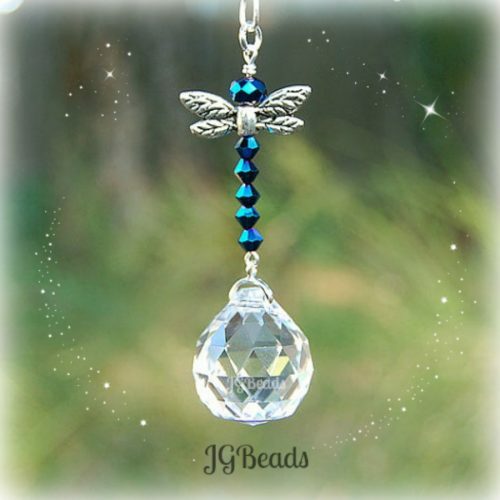 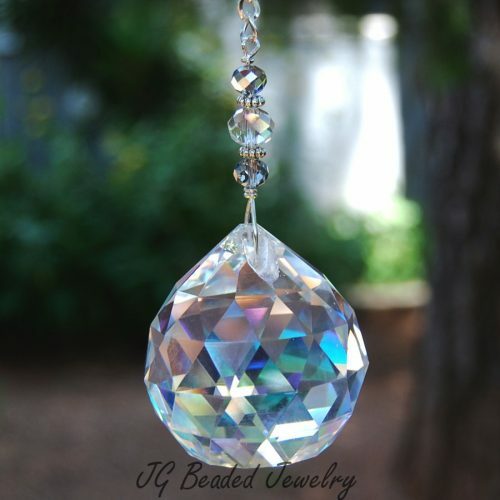 This crystal decoration is uniquely designed with a beautiful purple teardrop crystal that measures approximately 1.5 inch long and 1 inch wide (at the largest part). 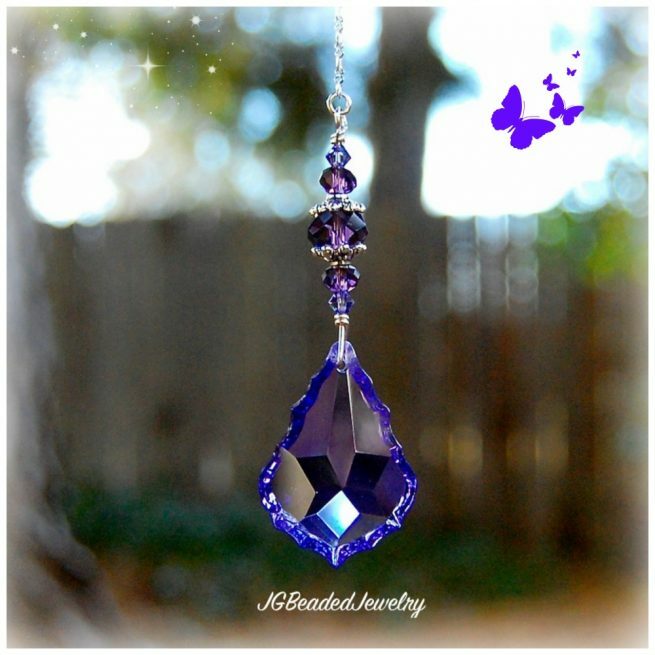 The purple teardrop crystal is quality wire wrapped for strength with flawless tanzanite Swarovski crystals, fancy silver bead caps and gorgeous deep purple faceted crystal beads.